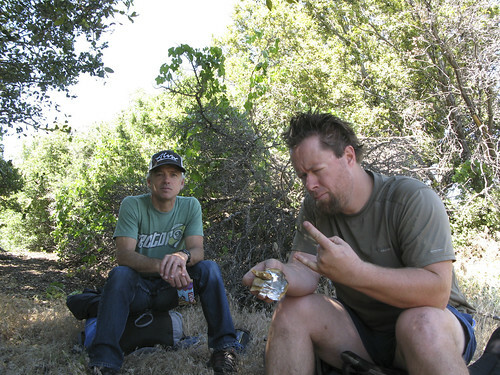 Victory at EM23 (Bucksnort Trail), Winter 2012. Image courtesy and © ZK. 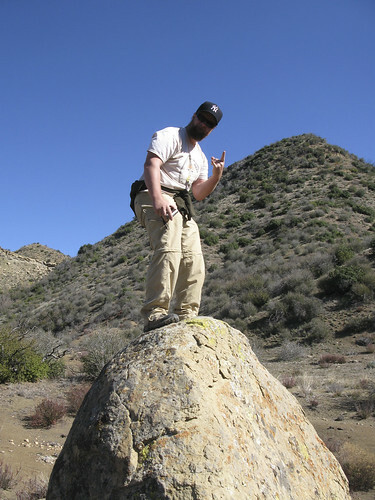 As previously discussed herein, the southern districts of the Los Padres (the eastern section of what is now the Sespe Wilderness especially) bore a disproportionate brunt of the camp closures and trail abandonments in the 1970s. 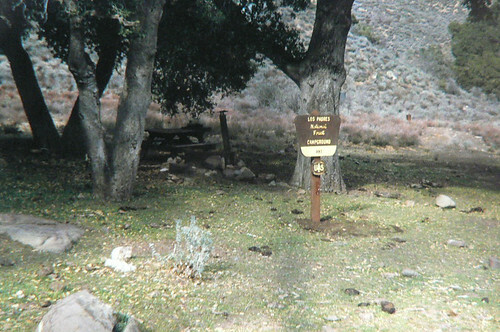 A largely empty and tree-clad corner of the Los Padres, this area is now dominated by the OHV routes in and about Lockwood Valley. 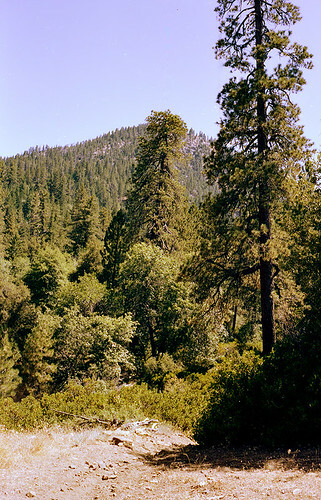 And now with the Los Padres Conservation and Recreation Act pending, much of this stretch of forest faces further change. Regardless of the fate of Gallegly’s bill, the 19 West legacy is a chronicle of trails through paradise (lost). 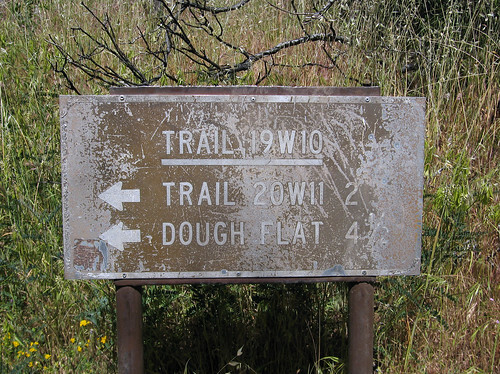 An OHV route since the dawn of time, known more often as Trail 117. 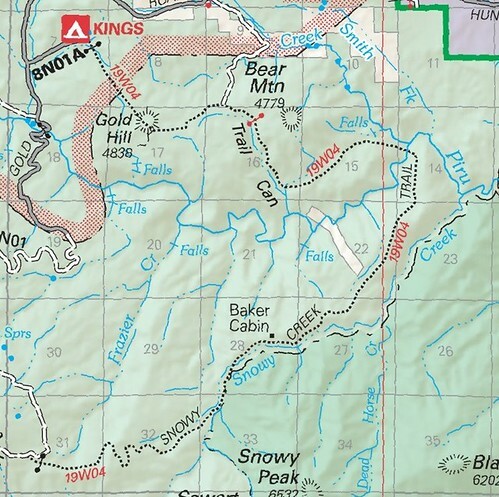 Trail 130 leads OHV riders from the eastern flank of Alamo Mountain along Snowy Creek, past abandoned Seven Pines camp, then the remains of the Baker Cabin (burned in the 2006 Day Fire), and finally curves west along Bear Mountain to Kings Camp. Image courtesy and © The Los Padres Expat. 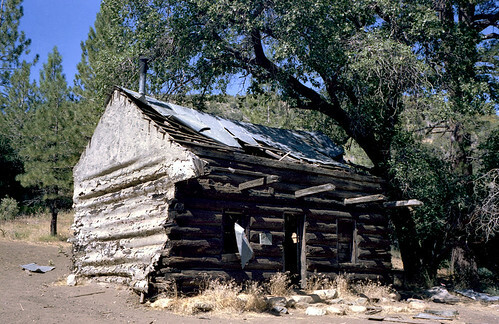 Baker Cabin, late 1960s. Image courtesy LPNF archives. As mentioned in the 18 West discussion back in January 2012, there’s some confusion as to 19W05’s proper application. Getting cooked along the 19W05, Summer 2011. Image courtesy and © ZK. 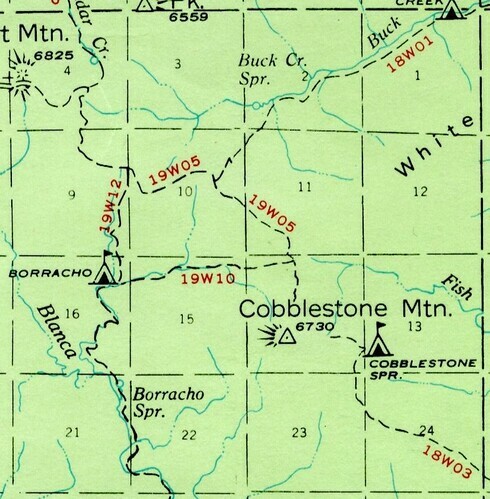 The more I study the old maps, the more inclined I am to believe the “true” 19W05 is the route from the old Seven Pines camp (via Big Cedar Creek) to the saddle there between the Borracho and Fish drainages, just north of Cobblestone Mountain. 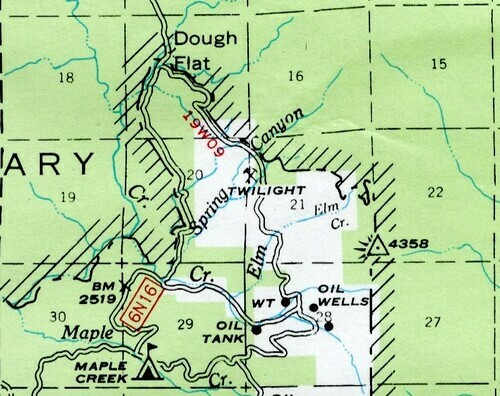 The 1950 visitor map also shows a camp there near the junction with the Buck Creek route; I’ve yet to discover it or find any additional intel. 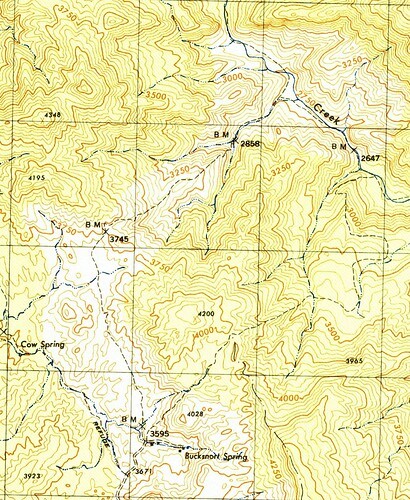 Trail 120, this short route connects Trail 122 and Road 8N24 along the northern flank of Maxy Hill (see 19W03’s map above). Still with us? Good, because this is where things take an interesting turn. 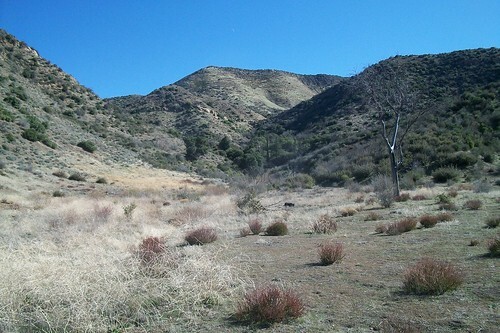 The 1943 Devils Heart Peak quad whets the exploratory appetite with several routes long-since forgotten, not the least of which is a trail heading southeast from what is now the condor lookout near Dough Flat trailhead toward Spring Canyon and Elm Creeks and the old Twilight Mine. 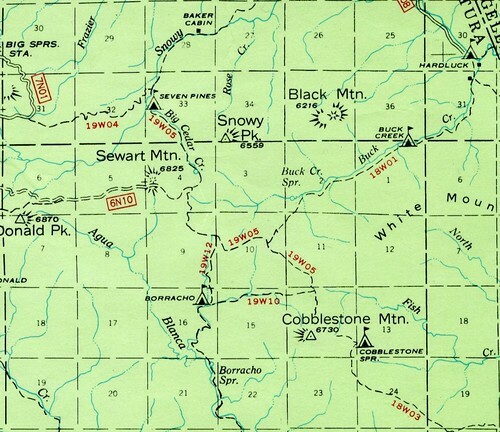 Later maps (eg, the 1967 visitor map) show it as a road leading to the mine … and both the Sespe Wilderness and Sespe Condor Sanctuary provide for a corridor to this day. Image courtesy and © bobby_emm. 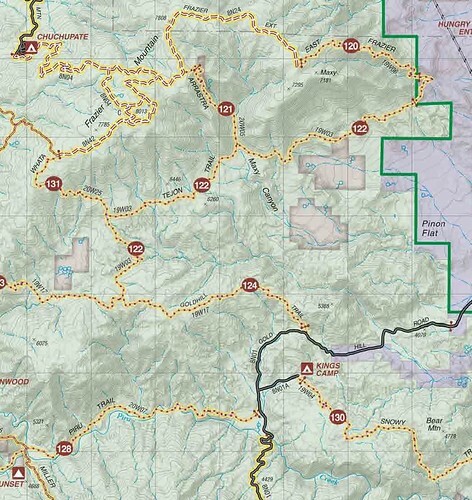 This trail — which once ran from the saddle between White and Cobblestone Mountains all the way to the Agua Blanca/Piru confluence — is an epic eastern LP route. And it’s dying. Though the eastern end of the Condor Trail and recognized by the Forest Service, it sees virtually zero maintenance beyond what Alan Coles’s intrepid crew executes downstream of Log Cabin camp. But proving this deteriorating route is still viable — to the insane, at least — H’ard Cohen did this as a trail run in late 2011. See his fantastic photo set here; note especially the ice cans and wooden camp sign still standing at Cove camp. Inspiring. Ant Camp, 1967. 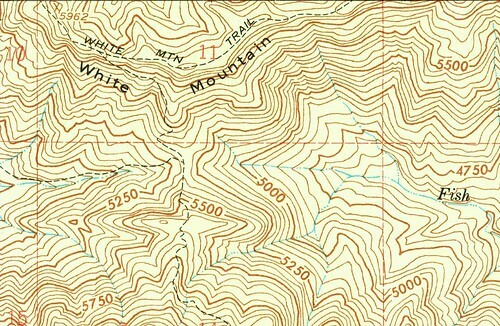 Image courtesy USFS archives. 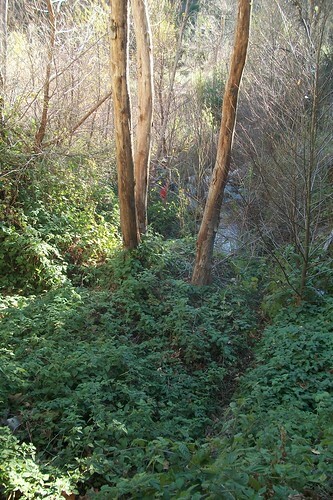 On the crew’s short list, this spur trail led Cobblestone route hikers to the Halfway Spring camp and to the only reliable water between Cobblestone Spring and the area around the Turtle/Piru confluence (Ellis Apiary). Wait, what? That’s insane. Time to plan another exploratory! 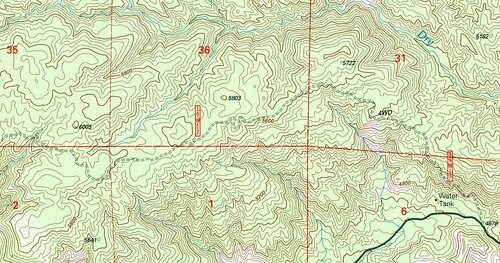 Trails 123 and 124, connecting Lockwood Creek 4WD Road with Gold Hill Road. 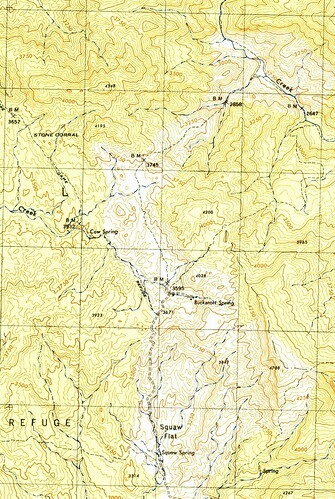 This is the route connecting the Alder Creek route with the Agua Blanca route. 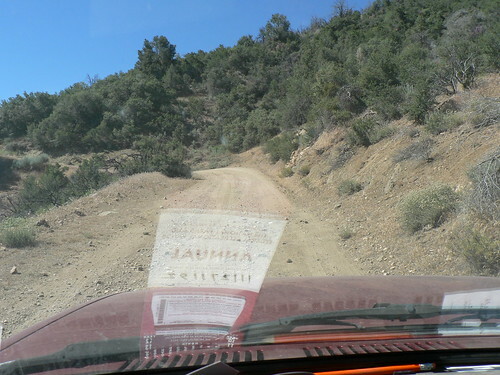 Much of it is a former dirt road, making navigation a breeze. After 19W18, we fall off the map. With legislation looming, what end do these routes face? Further, might new 19Ws appear? What a difference 20 years make for Baker Cabin. What is that on the exterior? Looks like a stucco slurry slathered up on the wall. Who was Black Bob? I’ve heard of Black Beard and Silent Bob, but I done never heard a no Black Bob. The material on Baker Cabin was some kind of Portland cement and sand based coating (stucco by definition, I guess) as far as I could tell. 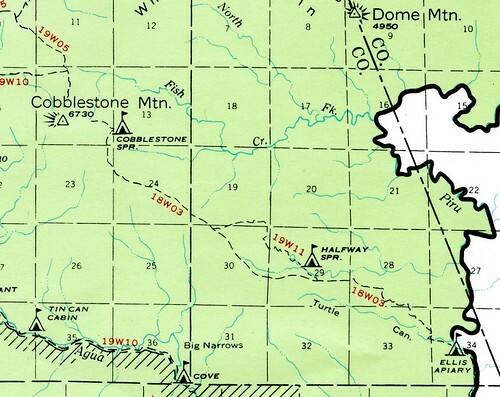 I have the 1943 Devils Heart Peak quad (two of them, actually) and I had forgotten how much of interest there is on that map around Dough Flat. 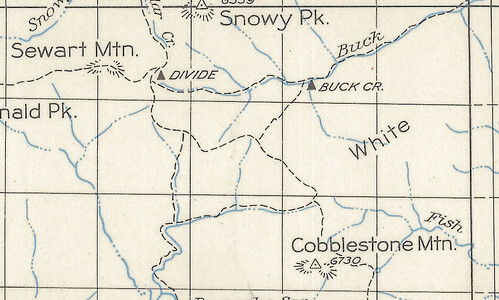 I find it very sad to consider the state of the entire Cobblestone – Piru area. One wonders what there is to discover (am I being obvious?) 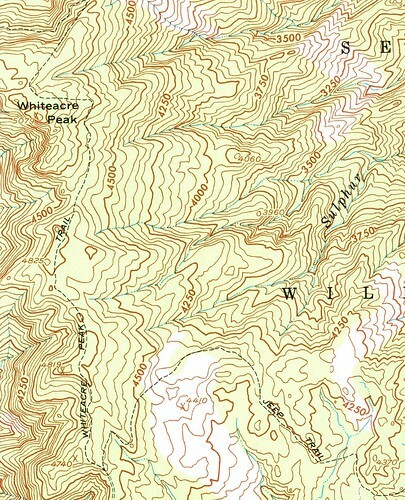 and what the fate of this back country will be in this decade (and beyond). Thanks so much for your input, Dave. We’d love to see additional photos; please refer to the email I sent. 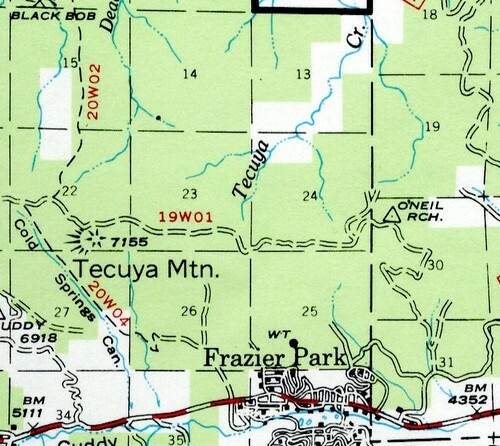 Dave if you could remember where the mine is from the old baker cabin I’d appreciate some info , or maybe you have old map of area ? 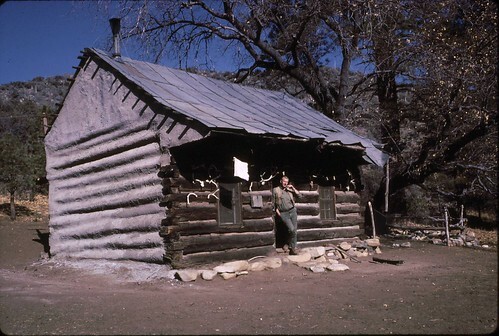 I’d like more info and pics if you have on the baker cabin . 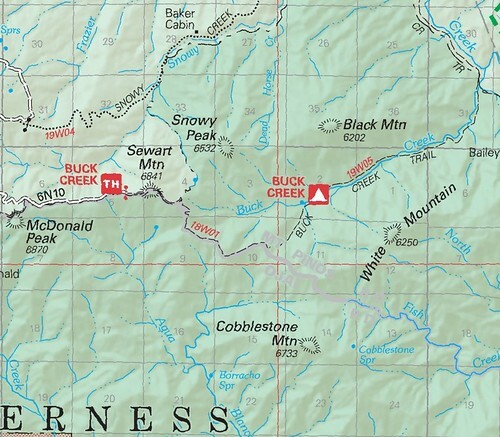 Also I’ve been trying to hike buck creek trail from bottom through hardluck canyon and from the top of Sewart peak. Cannot find the drop down from top. It seems is lost . From the bottom I’ve lost the trail around 4.5 miles in.